Sara Cassidy has been a human rights witness in Guatemala and won a Gold National Magazine Award. 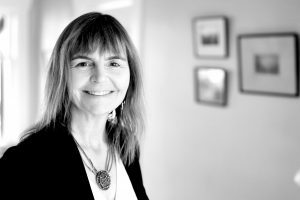 Having promoted other authors as the co-director of the Victoria Writer Festival, Sara Cassidy could finally gain her rightful share of the creative spotlight with four new titles released in 2019. Those titles are Helen's Birds illustrated by Sophie Casson (Groundwood) 9781773060385 $12.95; The Moon is a Silver Pond illustrated by Josee Bisaillon (Orca) 9781459818644 $4.95; Nevers (Orca) 9781259821637 $10.95; and Scalliwag on the Salish Sea illustrated by Mike Deas (Heritage) $10.95. With fourteen titles, Cassidy has not self-identified in promotional materials as the daughter of Carol Shields. She has published interviews with writers in B.C. BookWorld, had poems in The Antigonish Review, Grain, Qwerty and Zygote, and later published in Malahat Review, Geist, Grain and Prairie Fire. Her two chapbooks are Ultrasound of My Heart and Sardines (Greenboathouse Press). Her novel Skylark was one of three titles shortlisted for the Bolen's Book Prize in 2014 and A Boy Named Queen (Groundwood, 2016) was nominated for several awards. It was selected by both CBC and Quill and Quire as a 'best of' pick for 2016. While raising three children, she obtained an MFA in Writing from UVic. Cassidy's first novel for young readers, Slick (Orca, $9.95), is about oil, politics and people-not the massive spillage that has decimated the Gulf of Mexico but rather the slow seepage of corruption and environmental degradation in Guatemala as it infiltrates daily lives on Vancouver Island. Liza is in grade seven and she likes her little brothers. She has an environmentally-minded mom who collects butter knives. Their family scoots around Victoria in a Vixen Red "limpet-size"; hybrid car. Trouble is, Liza's Dad has moved out, plagued by sadness. The absence of Liza's father enables Robert to become her mom's boyfriend. Liza has nicknamed him Slick. It's disconcerting for Liza to see her normally level-headed mom suddenly dolling up her hair and wearing lipstick, making excuses for Slick's gas-guzzling SUV and defending the oil company that Slick works for. The plot thickens-with oil-when Liza conducts some research and discovers Slick's company has been breaking the law in Guatemala. It owes Mayan farmers half a million dollars in compensation for drilling damage to croplands and buildings, pollution and the deaths of farm animals. Before you can say "Girl Power,"; Liza has organized GRRR! That's the acronym for Girls for Renewable Resources, Really. The girls in GRRR! set up a Facebook page, write letters to the newspapers and begin planning a demonstration at the oil company's head office which just happens to be in Victoria. When Liza's mom finds out, she says, "I can't keep this a secret from Robert. "; So is all Liza's hard work going to be for naught? Is her own mother going to betray her? How exactly Sara Cassidy cleans up this domestic mess shall remain a mystery. But we can reveal that in a future Orca Currents (ages ten and up) book, Liza will travel to see the Peten-Izabel pipeline in Guatemala. As well, GRRR! will respond to real-life activist Lynne Hill's vision of a symbolic protest against oil tanker traffic in the form of a four-kilometre crocheted chain stretching across the coastal channel. Also featuring Liza and the girls of GRRR!, Windfall (Orca, 2011) involves the death of a local homeless man and a school principal who blocks the environmental campaign projects - until Liza and her friends decide to create change on school grounds without seeking permission. Neither lazy or criminal, Angie, the young protagonist of Skylark (Orca 2013), sleeps in an old car with her brother and mother, evading police, finding new places to park each night, finding inspiration and self-expression in slam poetry. For Cassidy, writing about living in a car wasn't inconceivable because she once lived lived in a ten-by-ten-foot survival shelter in the Manitoba bush. Sara Cassidy's novel for young readers, Slick, is about oil, politics and people-not the massive spillage that has decimated the Gulf of Mexico but rather the slow seepage of corruption and environmental degradation in Guatemala as it infiltrates daily lives on Vancouver Island. The plot thickens-with oil-when Liza conducts some research and discovers Slick's company has been breaking the law in Guatemala. It owes Mayan farmers half-a-million dollars in compensation for drilling damage to croplands and buildings, pollution and the deaths of farm animals. The girls in GRRR! set up a Facebook page, write letters to the newspapers and begin planning a demonstration at the oil company's head office which just happens to be in Victoria. Okay, so it's fiction. When Liza's mom finds out, she says, "I can't keep this a secret from Robert. "; So is all Liza's hard work going to be for naught? Is her own mother going to betray her? How exactly Sara Cassidy cleans up this domestic mess shall remain a mystery.